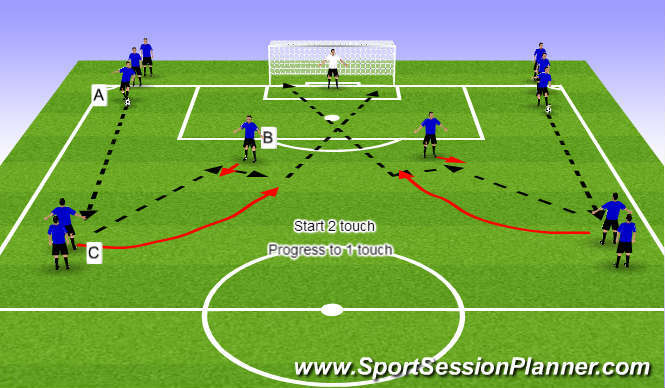 Encourage players to hit to target and far post. Passes should be crisp and on the ground. Movements off the ball should be at game speed. Players move from line A-B-C.
Blues and Reds play 2v2 in the middle. Either team can use all the players on the outside. 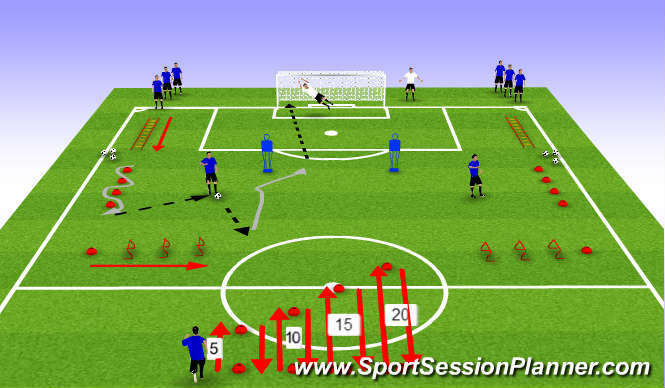 Players on the outside have 2 touch and cannot play to the other outside players. Outside players always play to the team that gave them the ball. 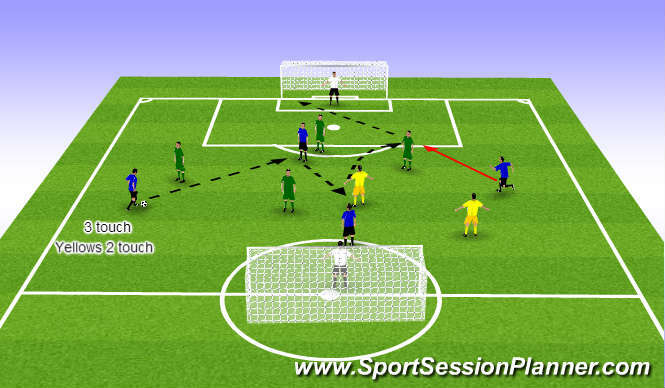 Coach should encourage players to keep the ball and play in combination in numbers up situations, 2v1, 3v2, etc. 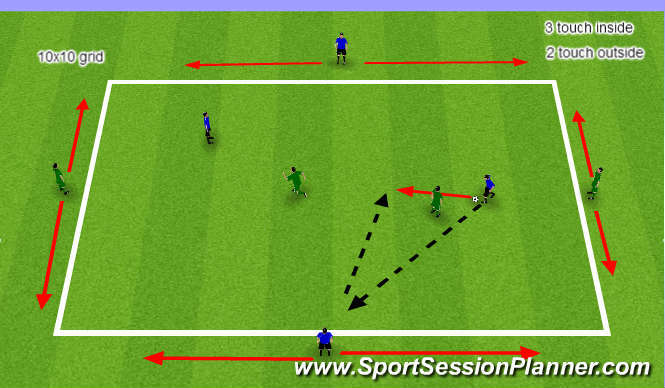 Players running the 5 yard, 10 yard, 15 yard, 20 yard jog the cones forward and backward for 5 rounds. Then they will sprint the course 5 rounds. Rest two minutes and repeat again. Other exercise must be done at full speed.